Dentist Fort Collins: Are Your Gums Irritated or Inflamed? Although people talk about toothaches and root canals regularly, one thing you don’t hear about as often is gum inflammation. Why is that, you ask? Good question, because it’s something that many people deal with on a regular basis. If you’ve ever wondered what causes gum inflammation or what you can do to treat it, then today’s post is for you. As the go-to dentist in Fort Collins, Colorado, we’ve been treating patients with gum issues for many years now. 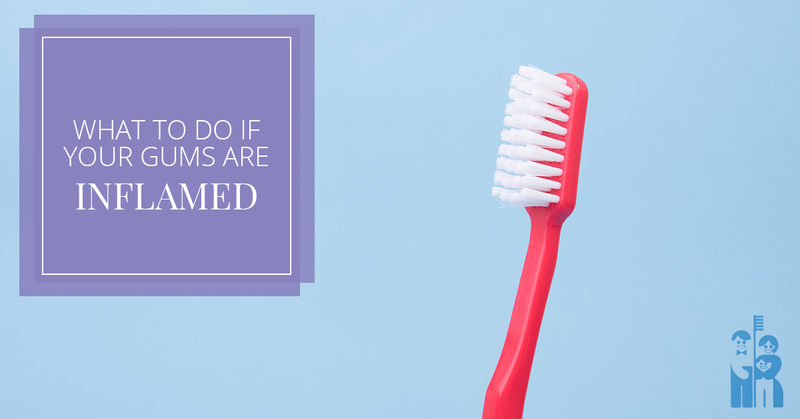 Your complete and total oral health is important to us, and we have a few tips for what to do if your gums are inflamed in today’s post. Keep reading to learn more. It will happen to pretty much everyone at some point or another. We’re talking, of course, about swollen, sore, or bleeding gums. All too often, people get so focused in on cleaning their teeth that they forget all about another important part of their mouth — their gums. Gum irritation and inflammation can be an early sign of gum disease, and that’s obviously something you want to take care of as early as possible. First things first though. Don’t panic. Instead, coming up with a plan of attack is the best move, and we’ll be breaking down a list of things you can do below. For some reason or another, the common solution to oral health issues for most people is to brush harder. In reality, the best thing you can do for your teeth and gums is to use a toothbrush with soft bristles and brush gently. More harm than good can come from brushes with medium or hard bristles. In fact, these types of toothbrushes can cause break down your enamel and damage your gums further. In other words, gentle brushing is the key. If you’re the type of person who takes comfort in being in a difficult situation with others, the good news is that nearly three quarters of adults are dealing with some type of gum disease. When it comes right down to it, the takeaway is that if you have irritated or inflamed gums, the best thing you can do is to be diligent with an oral care routine. In other words, make it a point to brush and floss using the right techniques. Aim to brush at least twice a day and floss at least once a day. Flossing should be done before you go to bed. Some of the issues you are experiencing can only be treated with professional help. Thankfully, no matter the situation, we’d love the opportunity to lend a helping hand. Whether you need us to demonstrate proper techniques, offering periodontal cleanings, or something else, we’ll be there for you. At Shores Family Dentistry, we love serving the people of Fort Collins, Loveland, Windsor, Greeley, and the rest of the surrounding area. If you need a dentist you can count on, look no further. Schedule an appointment with us today!